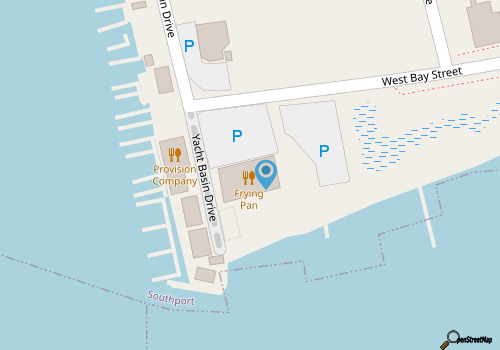 Head to the very edge of waterfront Southport to enjoy a fine meal with an unbeatable view at the Frying Pan. This restaurant that’s located on the edge of Bay Street boasts local and down-home favorites like sweet potato biscuits, fried seafood, and pan-seared seafood dishes that are sure to appeal to the most southern of Cape Fear appetites. The view is arguably the big attraction at Frying Pan, thanks to its site at the edge of the Intracoastal Waterway and Cape Fear River, as well as its raised stature that overlooks the water with a slightly bird’s eye perspective. With that being said, however, the menu is certainly worth some attention, thanks to a solid focus on seafood that’s complemented by more creative or home-cooking spins on local classics. For something filling, check out the “Comfort Food” section of the menu, which features staples like shrimp and grits, chicken pot pie, and pork chops, and for something coastal, divert your attention to the “Southern Fried Seafood” section, which boasts shrimp, oysters, bay scallops, and other on-the-water favorites. With lots of options, and an abundance of crowd-pleasing fare that ranges from wraps to chef specialties, patrons will find everything they need to enjoy a big coastal feast, and a big waterfront view. Call (910) 363-4382 for current hours.